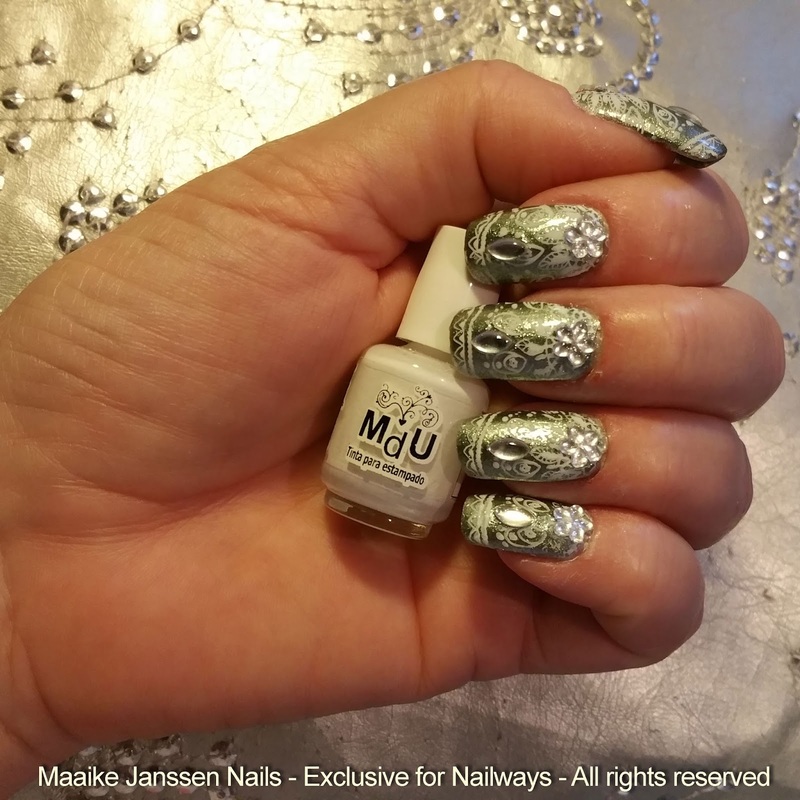 This time I created a nail art inspired by the Indian Maharadja Bridal Silverware from the old days.I started out with what has become my favourite base coat Seche White Ridge Filling Base. Did you know that Seche White was created after ten years of development! 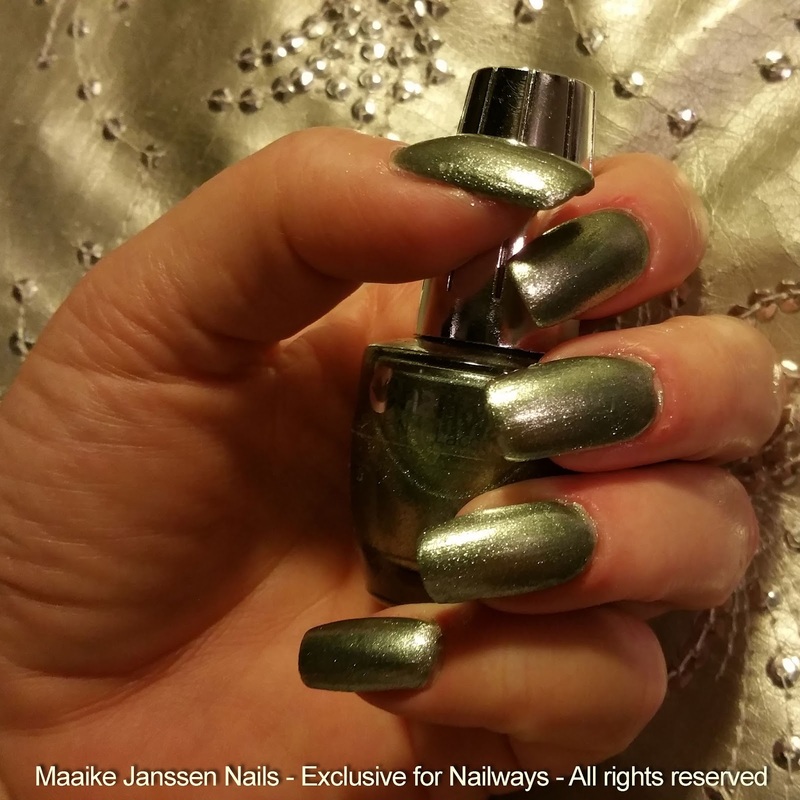 On top of that I applied just one layer of this beautiful silver nail lacquer from Nailways 82B. Clair. 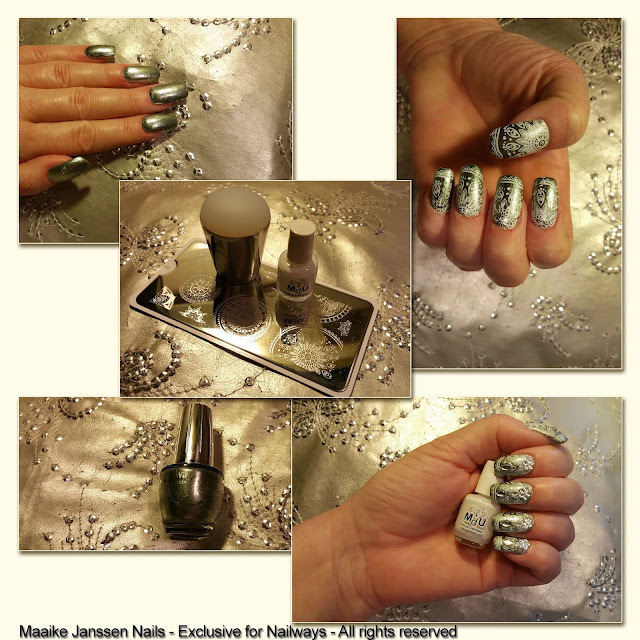 As you can see in the picture, it sparkles as old fashioned silver. I stamped with the MDU - 1. 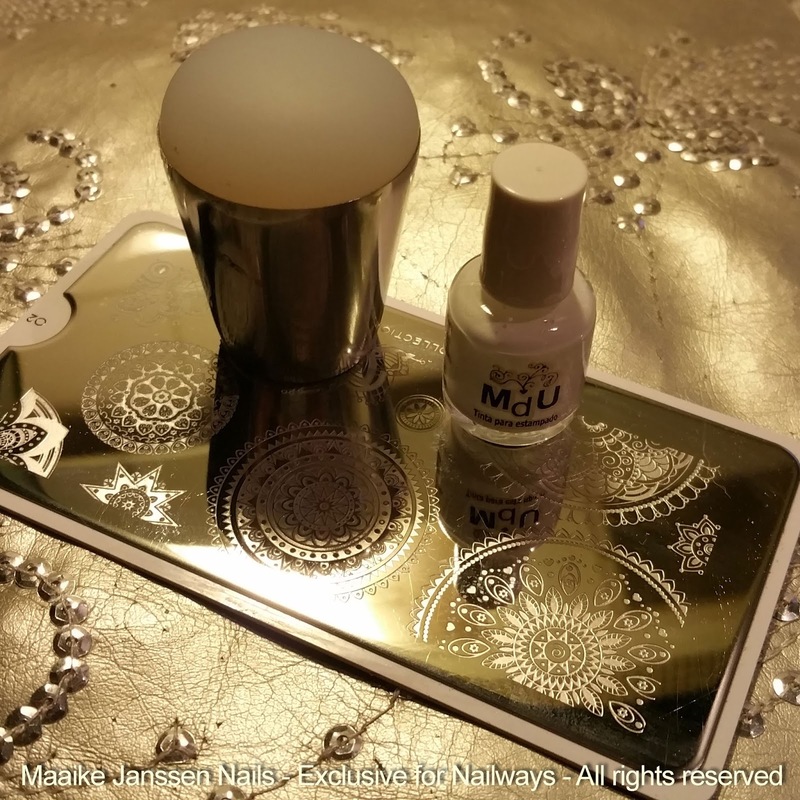 White and the stamping plate MoYou - Mandala - 02. This stamping plate has gorgeous big Mandela patterns. So it wasn't easy to find one for my Indian nail art. 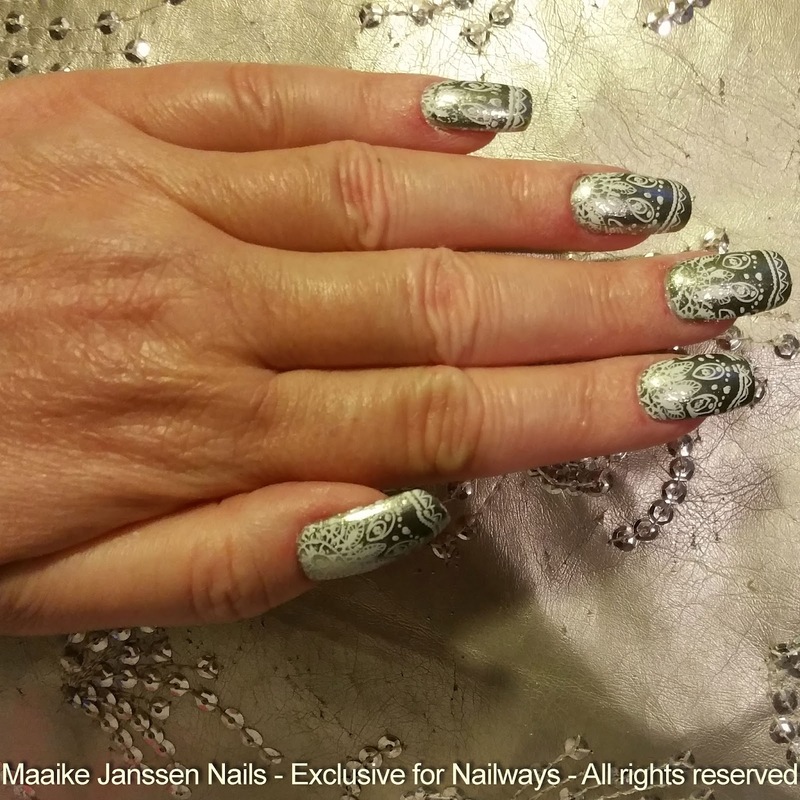 In the middle of top of each nail I placed a silver rhinestone. 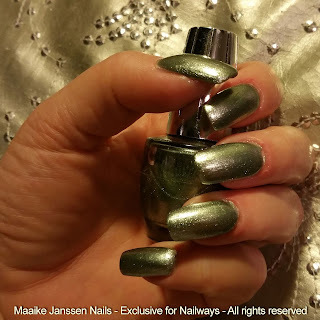 I also placed a flowe close to the cuticle. 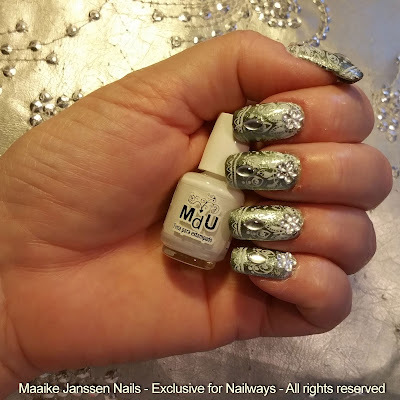 I'm not getting maried soon but this mani could be for an Indian Silver Princess!